The better question is what isn't! 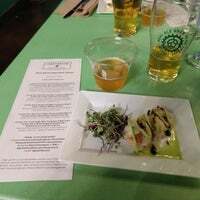 The chili was great and the citrus vinegarette was perfect on my salad. They have sodas with real sugar or Splenda. We will be back to try some their craft beers. Big Pig sandwich was killer. 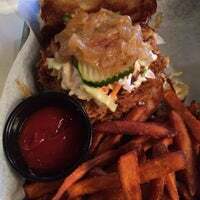 Perfect blend of flavors w/fresh pickles, caramelized onions, and sweet bun. Chef told me he smokes the pork 25 hrs. Also best sweet potato fries I've ever had! I like the atmosphere . I ordered the fish, the small only gives you one piece , so if you're hungry make sure you get the large. I sampled my husbands burger it was great ! WOW. This place is AMAZING! I can't believe this quality of restaurant with this pedigree of Chef Owner is in the burbs in North Round Rock off of 3406. If you live in Round Rock this is a MUST try. 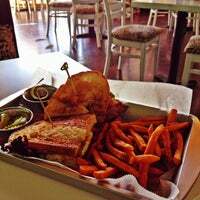 They have Dublin fountain drinks and the sweet potato fries are PERFECTION. 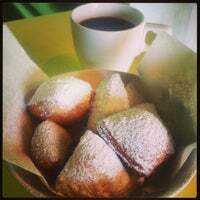 Oh and the beignets, they melt in your mouth. Tres Leches in a mason jar, all the flavors flow together, SO GOOD! GO NOW!! Drove from Houston to eat here! Staff was very friendly. 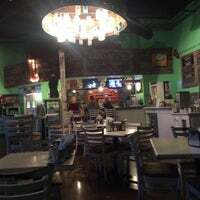 Owner stopped by and talked to us to make sure we had a great time and that food was perfect. Great food. All farmed from Texas. Small local brewed beer selection that is looking to expand. What a great addition to Round Rock. The Pumpkin Trifle is a MUST try, perfectly balanced! It is incredible! The "Greenhouse Special" is amazing! You won't want to miss this BLT on sourdough with heirloom tomatoes, thick cut bacon, spinach, a fried farmhouse egg and maple jalepeno jelly. The local burger with cheese, avocado and bacon is thee greatest thing ever! It is a bit costly though. $15 for burger and fries. But I love it! 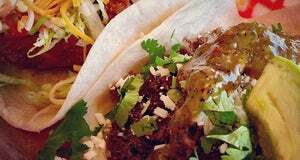 Don't forget to ask for the awesome green sauce if they don't bring it out with the awesome breakfast tacos!! We had the Local Burger with gluten free buns. I had a fried egg add-on. They were wonderfully delicious. 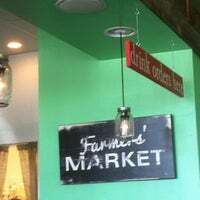 Delicious, locally sourced restaurant - great for breakfast, lunch or dinner. No matter the meal, always get the beignets! 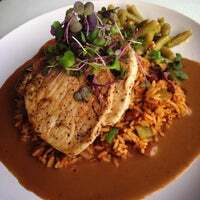 Order any of the weekly specials to get a true taste of chef Rob's incredible culinary creations. 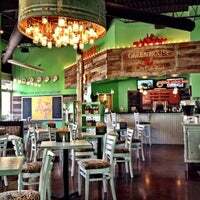 The food here is awesome, service is great, and the atmosphere is relaxed. Highly recommend! Go for Big Pig and the Poblano Gouda soup. The combo is amazing. Cool place. Great food. Will be back! 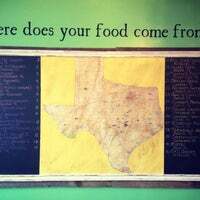 Try the Green Chile Pork and Queso! Amazing stuff! I want to love this place more but it's just ok. The food never has blown me away. It's a nice option for us Round Rock folks. Earth Day is a great day for great eats. 5% of your total check will go to support eco-friendly causes. Great burgers, salads! Kids eat free on Monday! Tried this for the first time and it was good!! Gotta try the yard bird!!! I always get the breakfast or brunch special of the week. Black bean veggie burgers with ,side of house lemonade. Everything is great. 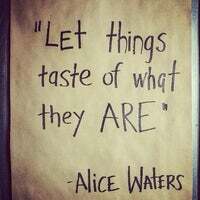 Love the BLT. Soo good!! Try the big spender with avocado. The sandwiches were pretty awesome! The Texas Sheet Cake is a very good thing. Really enjoyed the food give it a shot! My first visit and I loved it!! Michael S. works for another restaurant and is lying. Disregard anything he posts. 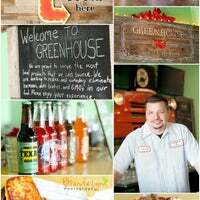 Greenhouse Craft Food is a casual eatery serving farm to table comfort food and local brews. 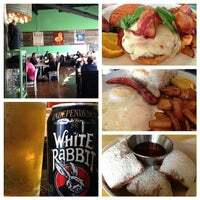 Open for breakfast / coffee, lunch, dinner & weekend brunch. 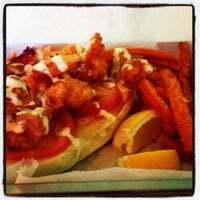 "Loved the shrimps and the European burger. I advise you upgrade your potatoes from he burger to truffle fries. 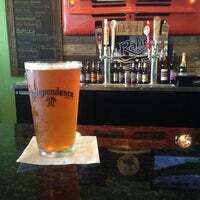 Good local beer from around the corner." "Sunday brunch 11-2. You can order fried eggs, scrambled eggs and pancakes in addition to all items on the buffet. Everything on buffet was fresh and well seasoned !!" "Great place, delicious pancakes & coffee, kids menu and enclosed kids play area! I have been to 2 locations & enjoyed both ! GF pancakes with to die for! 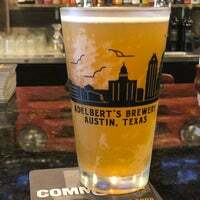 Don't forget to "swirl it up""
"Best HEB I've been to. Clean store, clean bathrooms, great deli, great floral, meat and fish market staff is very friendly as well as the rest of the staff." "They have wonderful Ices too! Every tea under the sun, love all the choices. Wish we had one in San Antonio!" 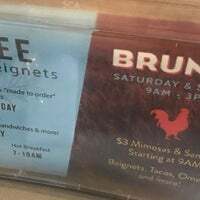 "Show up at 9:30am for an inexpensive breakfast and get your coffee free. It's a labyrinth, so use the shortcuts to make it to the cafe quickly"